At last, someone finally rips the GOP scab off the 911 wound that incorrectly stressed George W Bush kept us safe... 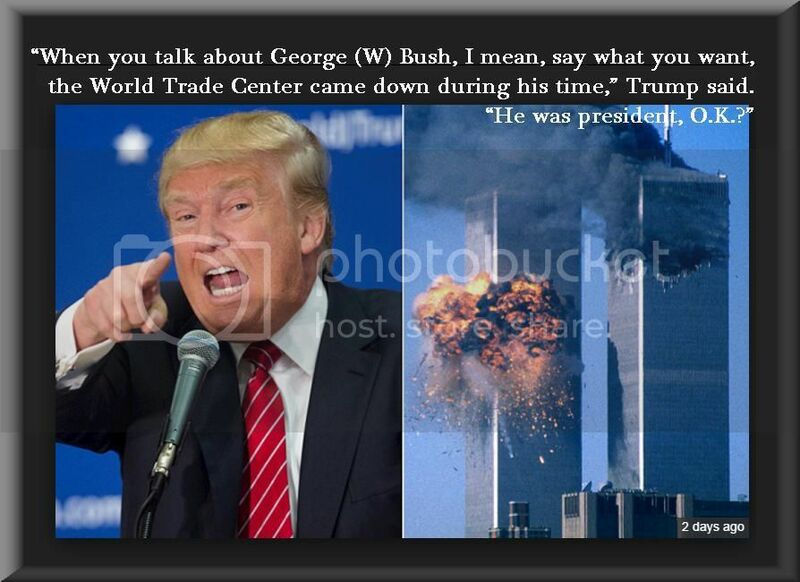 I always wondered when the Republicans were milking 911 beyond reason, why no one had the guts to say... But, 911 happened on his watch... I sincerely believe there would never have been a 911 if Gore had rightfully (legitimately) taken the seat at the helm. I don't like Donald Trump but I thank him for sounding his trump-et on this one.